“Illimani”, La Paz, Bolivia, 2009 © Malin Sjoberg 2013. Our last competition New Beginnings closed for entries on February 28th and not being ones to wait around we have now launched a new competition. The theme this time around is Not as it Seems and you can find more information about the new competition over on our competitions page. Whilst you get your creative head on and figure out what to submit we would like to introduce you to our judge for this competition. Malin Sjoberg grew up in Stockholm, Sweden and holds a BA in International Relations (Boston University) and BFA in Photography (Art Institute of Boston). 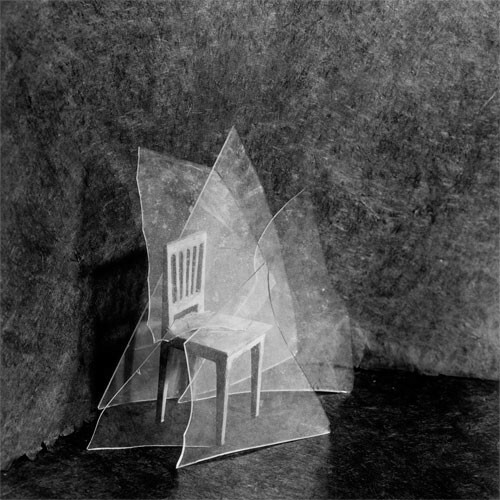 Her main interests range from vernacular photography to documentary photography and contemporary uses of historic processes otherwise known as antiquarian avant-garde. Malin has kindly agreed to take a place in the hot seat and answer our questions. My mother always took many photographs of us growing up, putting together all these beautiful photo-albums. I was always intrigued how a photo of something can trigger all these other memories, absent from the image itself. So I too took pictures and made photo-albums. One of the earliest ones I have is filled with faded colour snapshots from Hong Kong, which I took while traveling around South-East Asia with my family at the age of ten. Growing up in Stockholm, I never really considered being a photographer, as I never thought of it as a profession, unless you worked in fashion, which was never something I was particularly interested in anyway. Besides, I was of the belief that in order to be a professional photographer one needs all this equipment, which looked really heavy and expensive. It was only in my late teens, when I saw a book of photographs by Walker Evans that I realized that photography could be something more than that which I had previously seen. I remember being stunned by the images’ subtle, quiet, and penetrating reflections of everyday life in 1930’s America; they resonated far deeper than anything I had previously seen in terms of photojournalism. In retrospect, this must have been when I fell in love with photography, because I ended up buying the book, which at that time was way outside my budget. You studied Cinema Studies and Advanced Screen Writing in Prague. How did you end up working in photography? I had worked in film production for a while, when I decided to move to Prague to do a one year cinema course at one of Europe’s oldest film schools. Being a cinema student at FAMU, (The Film and TV School of Academy of Performing Arts), allowed me to sit in on their photography lectures, where I saw extraordinary images taken during the 20th century and heard amazing speakers lecture on the history and philosophy of the medium. It was during these lectures that I discovered the work of Josef Koudelka and Josef Sudek, which I very much came to admire. Prague was all about falling in love and realizing photography can be not only a job but also a way of life. And I think both my heroes, Sudek and Koudelka’s lives bear witness to that. Their lives were very much shaped by their calling and they led their lives accordingly. For someone in his or her early twenties, that is very inspirational. So I decided to switch to the still image after having both studied and worked with the moving image. Ultimately I felt that there was something about the tangibility of the photographic image that very much appealed to me. All that goes into creating the photograph; from seeing the light, composing, and pressing the shutter to developing the negatives and printing the image. I truly enjoy all the craft that goes in to that. Upon leaving Prague in 2006, I applied to the Art Institute of Boston, where I was granted the Merit scholarship. I was very lucky as those three years gave me the time and opportunity to explore my interest in documentary photography while learning about the esoteric nature of 19th century photographic processes. 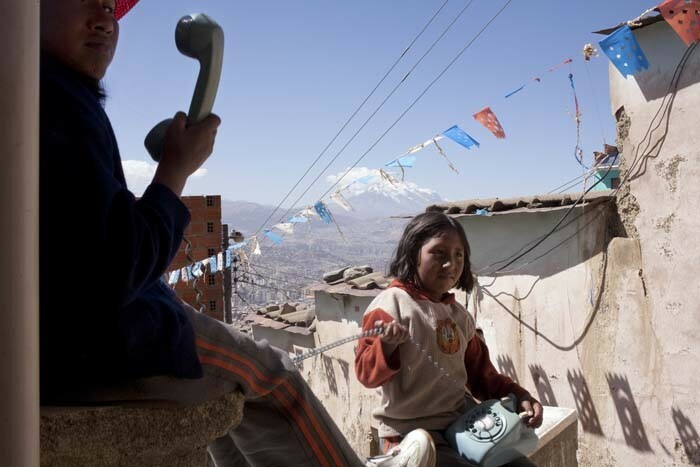 “Betty & her Sister” El Alto, Bolivia, 2009 © Malin Sjoberg 2013. Can you tell us about the project you undertook in Bolivia? Just before graduating University, I was fortunate to be able to go to La Paz, Bolivia, and collaborate with the Swedish NGO, Svalorna Latinamerika. 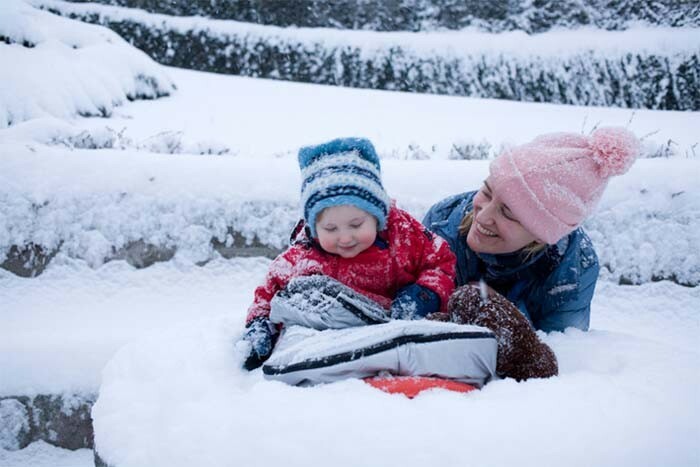 Unlike many other NGO’s, Svalorna’s work is based on helping people find ways to improve their situation on their own, rather than changing it for them. The aim of my work was to reflect the daily lives of some of the children who work on the streets of the capital and its surrounding area. It was important for me to try to go beyond the generic image of child workers in developing nations, which we often see in the media. For six weeks, I followed four of the children, mostly at home with their families, as they went about their daily lives, playing, cooking and working. It was a very rewarding project, not only being able to collaborate with an organization whose work I very much admire, but also being invited to share the children’s world where I saw extraordinary generosity, curiosity and magic. “Rooms of Glass”, 2007 © Malin Sjoberg 2013. You previously worked for Magnum in Paris. Is that correct? Yes, a few years ago, I was very fortunate to intern full time for six months within the cultural department at Magnum Photos Paris as the assistant to the Exhibitions & Cultural Development Manager. My role involved assisting in the organisation and coordination of several exhibition projects in Europe and worldwide. It was a truly valuable experience to witness and be part of the intricate workings of how the exhibitions came together, from conception through to realisation. Working in Magnum’s labyrinthine archive was amazing as I would regularly handle iconic photographs that have shaped our vision of the 20th century, images that are truly part of our collective memory. There are many things I love about photography. Of course, the sheer portability of the medium; the ability to pick up the camera and go. The truth of it is it allows you to go to places you perhaps would not necessarily go, although you may wish to. Photography has made my life so much richer. Also, I am very drawn to the alchemy of chemical photography, and all that goes into making such an image whether it is a daguerreotype, ambrotype or a silvergelatin print. The processes involved in creating these images are magical. 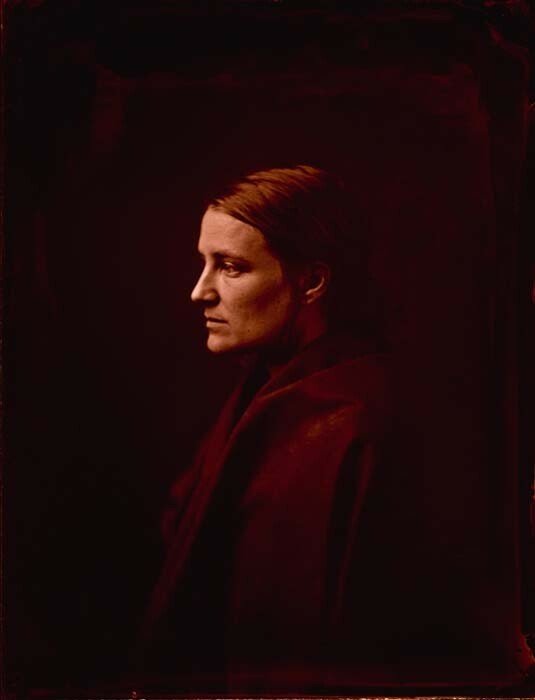 “Ambrotype Self Portrait by Malin Sjoberg”, 2009 © Malin Sjoberg 2013. Collaborating with an NGO in South-America and being part of the team at Magnum Photos Paris, where I met on a daily basis my ultimate hero, Josef Koudelka, were real high points. However, since having a baby and settling down, I have focused more on my love of 19th century photographic processes. I have been spending more time in the darkroom experimenting. So it was great honor when I was recently asked to submit a collection of images for publication in the forthcoming third edition of The Book of Alternative Photographic Processes. The first and second editions had been great inspirations to me so I was very happy to be asked to contribute and have my work published alongside great artists and practitioners that I admire. 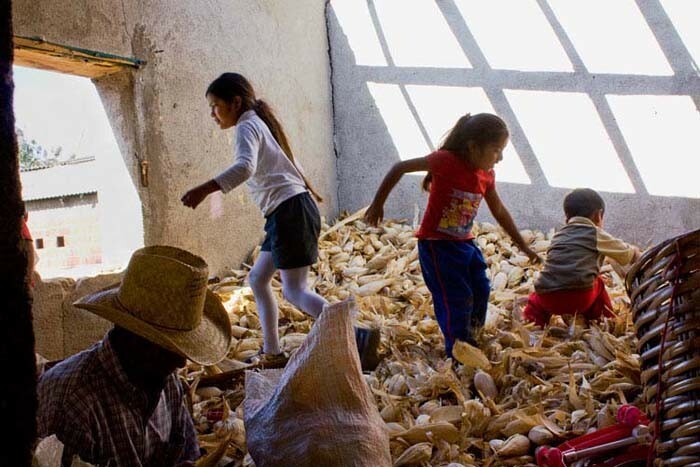 “Playing in the Corn”, Oaxaca, Mexico, 2008 © Malin Sjoberg 2013.